The English Schools season is now in full flow with many competitions in rounds four or five. On Monday 3rd December I made the draw for the fifth round of the ESFA Trophy comprising of sixteen teams. This draw has been divided into eight northern teams and eight southern teams. Congratulations to all districts that have reached this stage of the competition and good luck in your next game. November has been an active month in many of the ESFA activities competitions. In the first weekend of November I attended the South West Regional Under18 England Trials. A squad of sixteen were selected, as were squads from the North, South East and the Midlands to compete in the Regional games during the weekend of the 10th /11th November. I witnessed two very competitive trials with 64 committed players all striving for selection to the final 32 places at the first Lilleshall Weekend in December. Many thanks to all colleagues who helped stage these games and to Tony Martin and his management team who attended all the regional trials and games prior to the final selection. The names of the squad are listed on the ESFA website and they will be assembling at Lilleshall on December 7th. Congratulations to all the boys concerned, I look forward to meeting you in the future. I also worked with Tony Martin at RAF base Brize Norton in Oxford to promote the ESFA / RAF association during a coaching day with 40 local boys and girls. As sponsors of the Under 16 competitions the RAF are keen to involve the communities near a number of their bases. Local schools benefit from good quality coaching and the RAF use these opportunities to promote careers education. I really enjoyed this occasion and many thanks to Tony and other ESFA coaches who worked on behalf of the ESFA during these promotional days. During my year as Chairman I will be the guest of the FA on a number of occasions. In early November I was invited to attend the Under I6 Victory Shield match against <?xml:namespace prefix = st1 />Wales at Telford. Prior to the game I spent some time with the manager Kenny Swain, his management team and the players. The game resulted in a 2-0 win for England in front of a crowd of 3000. With a previous draw against Northern Ireland and a win 2-1 last Thursday against Scotland the English boys won the Victory Shield outright. Congratulations to the boys in this development squad. They were a credit to manager Kenny Swain, the FA and of course to their schools and the ESFA. I was also present at Wembley when England lost to Croatia. This result and subsequent replacement of the England manager will undoubtedly have repercussions for all involved at grass roots level. The ESFA in conjunction with its professional partners will be asked to examine its structures and its ethos to ensure young players are receiving the appropriate football education in their formative years. Opinions differ as to when young players should be introduced to competition and when the transition from mini games to 11 aside should be made. This issue and others relating to the provision of football at school and district level will need local and national debate to ensure the ESFA is not isolated in future grass root plans made by the FA. Membership will be informed of any future initiatives that need to involve school, district, county or a national voice in future discussions. 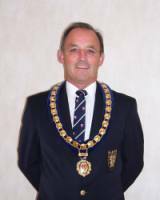 At the recent Council meeting it was my pleasure to congratulate and welcome David Gent as the new Council Member to represent Area F. David has been a prominent figure in Newbury Primary Schools Association for many years. I am sure David will be an asset to the Council and will contribute to debate and discussion to the benefit of the Association. Finally, can I thank all colleagues who volunteer their time and expertise for the benefit of boys and girls in schools and a plea to ensure games are played by due dates, results are given to head office and that rules are checked prior to games being played. Losing a game by default or the toss of a coin at this stage of the season is not the type of experience young players want. If they lose let us ensure it’s on the pitch. Have a good break during the Christmas holiday and I wish you all a happy Christmas.